Participants registered for transportation will be bussed to/from Christ’s Church Nursery School (CCNS). 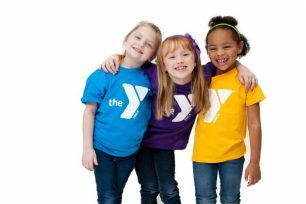 Participants not being bussed will be picked up/dropped off by parent or guardian at the Rye YMCA. Bus seating is limited to 19 registered participants to/from CCNS on a first come, first serve basis. Transportation is also available to Rye Presbyterian after the Wednesday morning program. Rye Y staff are selected for their strong character, maturity, enthusiasm and commitment to the Y values of caring, honesty, respect and responsibility. Staff are First Aid and CPR certified and undergo a rigorous hiring process including multiple references and a background check. Upon hire, all staff must complete several child abuse and safety trainings. Safety is our first priority. Contact Kathy Lynam for more information. Click here to view a flyer with sample schedules and details.